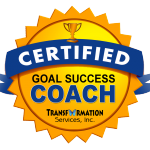 Addison Bell Coaching collects information from you when you register on our site, place an order, sign up for a class, subscribe to our newsletter, respond to a survey or fill out a form. When ordering or registering on our site, as appropriate, you may be asked to enter your: name, e-mail address, mailing address, phone number or credit card information. You may, however, visit the Addison Bell Coaching site anonymously. The email address you provide for order processing, may be used to send you information and updates pertaining to your order, in addition to receiving occasional Addison Bell Coaching news, updates, related product or service information, etc. Note: If at any time you would like to unsubscribe from receiving future emails, we include easy ‘one click’ unsubscribe instructions at the bottom of each email. We offer the use of a secure server. All supplied sensitive/credit information is transmitted via PayPal and through these servers your information is kept confidential and safe. Your private information credit cards, social security numbers, financials are never seen or kept by KW Coaching. All payments are handled through the third party secure payment option of your choice. You may find third party links for articles, co-teacher sharing, and/or events. 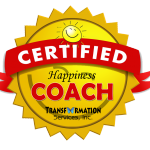 If you have come to a class with KW Coaching where Addison is co-teaching then your registration email will be shared with both Addison Bell Coaching and co-teacher for newsletter and updates from both sources. You may opt out at any time through the unsubscribe link on both teachers emails. You must be at least 18 years of age to purchase coaching, workshop, training or other from KW Coaching due to the Children’s Online Privacy Protection Act. Addison Bell Coaching addresses adult matters and wants to protect children around the globe from harm. Please be aware that if you are under the age of 18 and it is discovered by Addison Bell Coaching that you are part of the newsletter or marketing or that you have attended a class stating that you were 18 or older that you will be taken off of all future emails and prevented from attending future events until you may prove that you are a legal adult. Addison Bell Coaching does not collect any information from anyone under 18 years of age. Our website, products and services are all directed to people who are at least 18 years old or older. This policy was last modified on 01/18/18.